I always hear about “adulting” as being a thing that is thrust upon someone once they graduate high school and move onto college. The notion is that you grow up enough once you enter this stage of your life that you’re officially an adult that has left childhood. 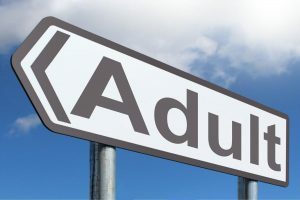 While I agree that “adulting” is a new reality for college students, I have realized that this is always synonymous with actually becoming a full, independent adult. I believe that college is the best time of your life, with just the right amount of responsibility, but not too much. This is why my best advice for dealing with “adulting” in college is to embrace it, instead of letting it weigh you down. Here are the reasons why “adulting” in college is actually a good thing that you should embrace. Instead of seeing college as a scary time that pulls you away from the safety blanket of living at home, look at it this way: The best way to learn and grow is to make experiences and mistakes on your own. Have fun with this new freedom! I realized that more than half of the stressed I experienced from “adulting” was the I would handle it. It’s very easy to become overwhelmed when you have new responsibilities in life just because it’s a new obstacle you’ve never experienced. Staying organized and using your resources are key, and you may just realized this is something you’ve experienced before! The moral of my story here is life actually gets hard and stressful after college. The “adulting” you’ll experience in college is really just growing pains. Try to enjoy these four years the best you can instead of stressing yourself out too early. The things you’ll learn in college will be used the rest of your life, so utilize this experience to smoothly transition into an adult, while not forgetting to have fun like a kid.